Home » Blog » Which Drivers are the Most Likely to Cause Accidents in Bradenton? Which Drivers are the Most Likely to Cause Accidents in Bradenton? Many people think newly licensed young drivers are the most dangerous drivers on the road because of their lack of experience. It's true many young people lack impulse control so tend to make risky decisions. But while teens as a group are involved in car accidents more frequently than older drivers, a new report from AAA Foundation found slightly older young adults may actually be more of a danger on the roads than younger teens. 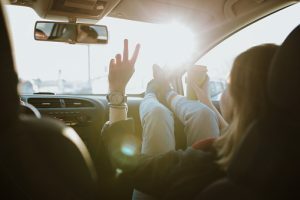 The troubling report showed young adult drivers ages 19 to 24 are regularly engaging in high-risk driving behaviors and, even worse, many of these millennials think their behavior is acceptable. These statistics should be enough to frighten any person who shares the road with these drivers. Such actions are not only dangerous, they are a breach of a driver's duty of care to others on the road. In situations where this causes a crash that results in injury, there may be grounds for a personal injury lawsuit. Drivers ages 19 to 24 were the most likely to report they'd done something very dangerous in the past month like speeding, texting, or running a red light. A total of 88.4 percent of drivers ages 19 to 24 admitted to these behaviors, compared with 69.3 percent of 16 to 18 year olds and 67.3 percent of drivers aged 60-74. Other than drivers over age 60, teen drivers ages 16-18 were the second least likely group to report these behaviors. Drivers between the ages of 19 and 24 were 1.6 times as likely as other drivers to say they'd read a text or read an email while driving over the past month. While 40.2 percent of drivers overall texted or emailed while driving, 66.1 percent of drivers 19 to 24 engaged in this dangerous behavior. Drivers ages 19-24 were twice as likely as other motorists to say they'd typed and sent either an email or text while behind the wheel in the past 30 days. A total of 59.3 percent of these young millennials had sent emails or texted, compared with 31.4 percent of all drivers. Drivers ages 19-24 were 1.4 times as likely as all drivers to indicate they had exceeded the speed limit by at least 10 MPH on a residential street. While only five percent of all drivers thought it was acceptable to go this fast, close to 12 percent of drivers ages 19 to 24 thought this was OK. Drivers between 19 and 24 were significantly more likely to admit driving through a red light they could have safely stopped at. Only 36 percent of all drivers said they had done this, compared with almost 50 percent in the 19 to 24 age group. While just six percent of drivers said doing this was safe, 14 percent of drivers aged 19 to 24 believed this behavior was acceptable. With so many young people not only conceding that they engaged in these dangerous behaviors but also indicating they believe high-risk driving actions are acceptable, it is clear these young adult drivers have a long way to go to improve road safety. If attitudes do not change and these drivers don't experience an attitude shift on this front, they will continue to present a significant risk on the roads and more accidents will continue to occur.